Ireland rugby captain Rory Best and coach Joe Schmidt after victory over the New Zealand All Blacks in the Autumn International match at the Aviva Stadium, Dublin. All pictures by Niall Carson/PA Wire. Ireland celebrate their historic win against the All Blacks in the Autumn International match at the Aviva Stadium, Dublin. Rory Best has admitted he had to "block out" criticism and pressure ahead of captaining Ireland to their first-ever win over New Zealand on home soil. Best then hit back to form after Ireland's patchy showing in the 28-17 win over Argentina the previous week, in an authoritative reassertion of his Test captaincy credentials. 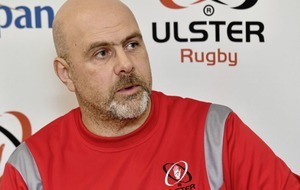 Asked to sum up his feelings at receiving a standing ovation when he was substituted late on, Best joked: "I thought that was actually for Tadhg Furlong who came off at the same time, he had an unbelievable day in the scrum!" Getting serious however, Best continued: "I just felt a little bit rusty in there last week at the line-out, and we were put under a lot of pressure by New Zealand in that area as well. "So I just had to block a bit of that out, and go about doing what I do well for the team. "And that's working hard, trying to hit a few things, clean a few rucks and be there whenever the team needed me. "And if everyone does that and everyone puts their hand up, then generally you get a good team performance." The 113-cap front-rower helped devise the figure-eight standing pattern to face the Haka in tribute to the late former Ireland back-rower and Munster coach Anthony 'Axel' Foley before the maiden victory over the All Blacks in Chicago. Best backed up that touching and smart move before the 40-29 win over New Zealand in the USA by concocting Saturday's ruse. The crowd roared its approval on Saturday night, and Ireland's President Michael D Higgins wrote a letter of thanks to Best and the Irish rugby team on Sunday morning. 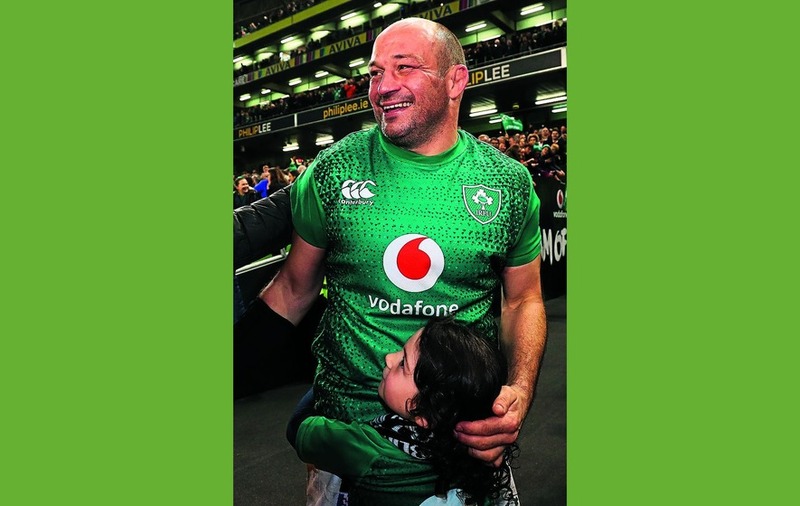 Ireland captain Rory Best celebrates with his daughter Penny after victory over New Zealand in the Autumn International match at the Aviva Stadium, Dublin. "They are both firsts for us, so I wouldn't look at one as better than the other," said Best. "They've been world number one for nine years, so we knew it was going to take a big effort. "It's hard to know what it feels like at the minute; you're physically exhausted but mentally absolutely ecstatic. It's another little bit of history that this squad has managed for itself." Jacob Stockdale's cunning try separated the teams in the end, with the move straight out of head coach Joe Schmidt's one-off play-book. Schmidt afterwards joked he steals all his best set moves, and while that is clearly not true, Stockdale's score had more than a touch of similarity to a try Beauden Barrett ran in during New Zealand's 37-20 win over Australia in Yokohama in October. Asked how long he spends devising his set moves, Schmidt joked: "I mostly steal them from other people! "But I'm always on the look-out, I always keep my eye out. I watch the Mitre 10 Cup, they've always got a couple of good ones. "It's hard to get patents on moves. "We felt we could go back down that short-side, sometimes they work and sometimes they don't. But it's always nice when they do put them together. "I've come up with some really poor moves in my time, but they always look good on paper!"